Clean, wash and drain prawns properly. Place in a single layer in an oven tray. Sprinkle liberally with Cajun spice, toss to distribute oil and spice properly and bake/grill in a pre-heated oven at 220 degrees Celsius in the middle shelf until browned. Turn prawns over and grill other side until lightly browned and crisp. salt to taste and a few broken l dried chillies. Cook on medium heat for + -10mins. 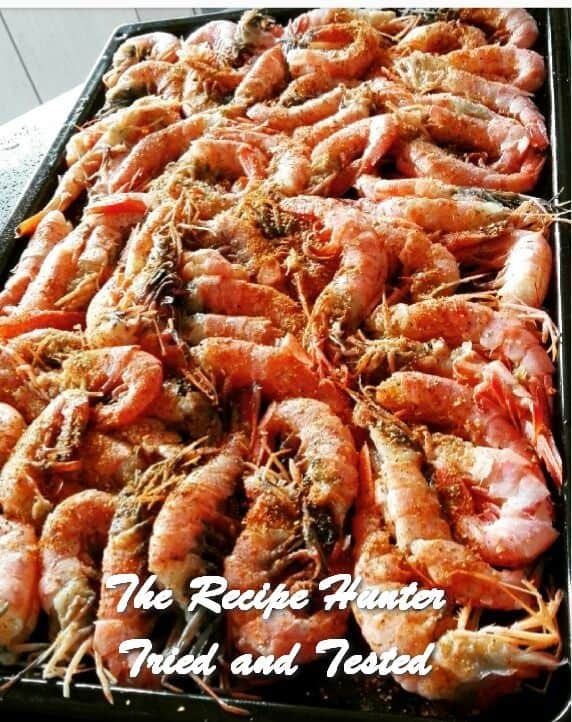 Remove prawns from oven, pour butter mix over and bake at 180 degrees Celsius for +-10mins. Remove from oven and serve.